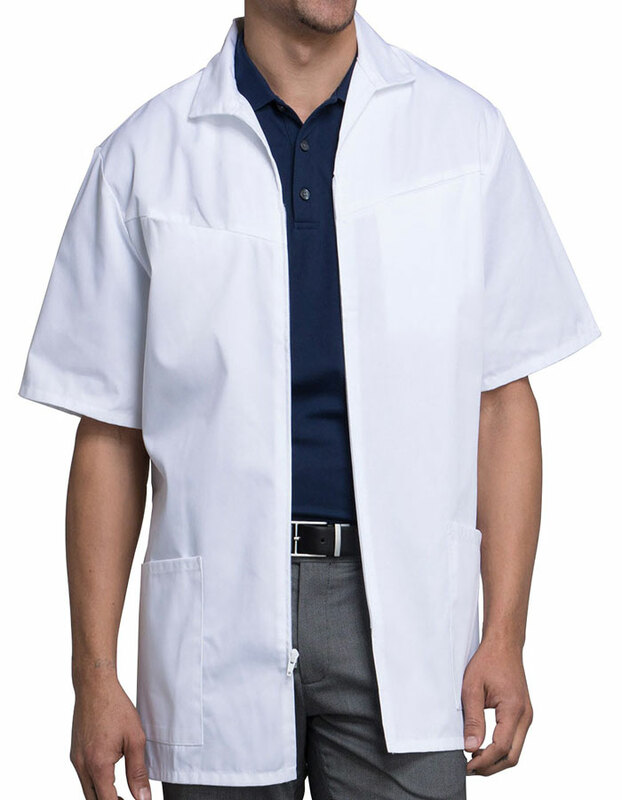 The men’s scrub jacket by Cherokee is durable, functional and sturdy. 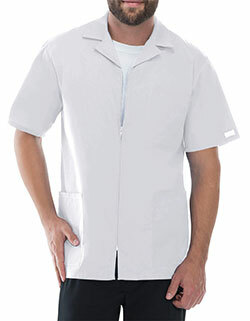 It features a collared neck, short set-in sleeves and a zipper front closure. 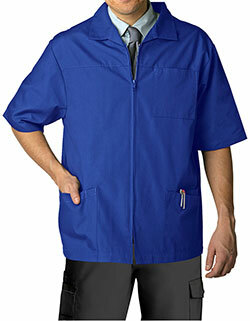 With its two hidden chest pockets in the yoked front and two roomy outer pockets, storage is super convenient. 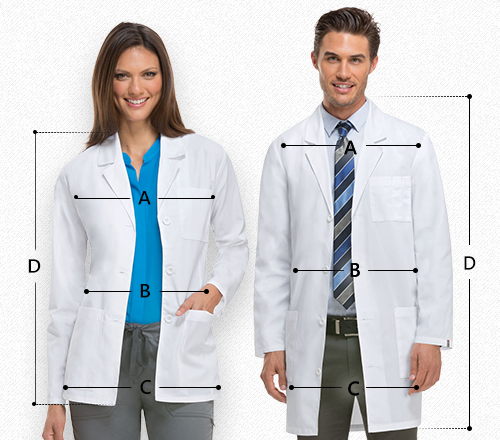 Moreover, the sewn-in belted back waist accented with released pleats and vented above and below the waist completes the look.